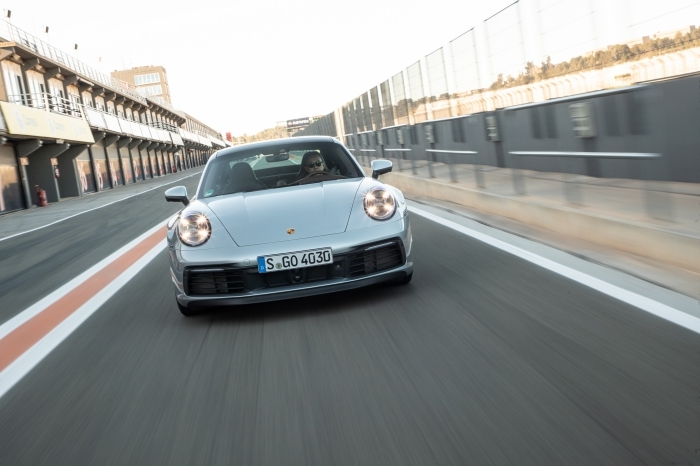 Valencia, Spain – When you've been doing something for a long time, you tend to become good at it, and Porsche has certainly been at it with the iconic 911... for fifty over years, to be exact. The venerable 911 is in its eighth iteration, with each generation developed in line with the theory of evolution. 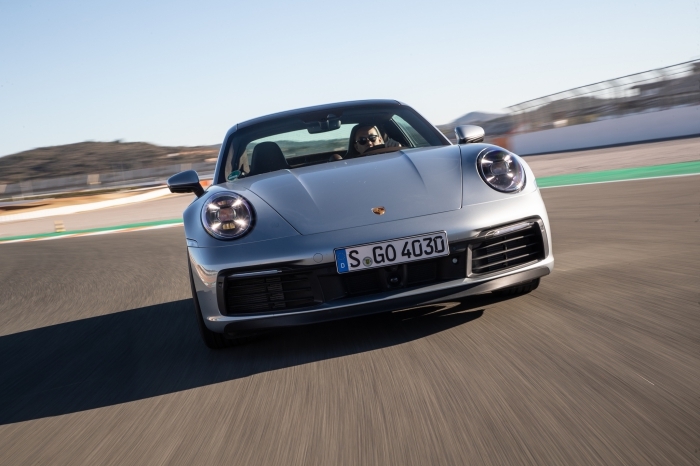 This means that every successive 911 is not only bigger, stronger and faster than its predecessors, but also more fuel efficient and emissions-friendly, since those are important watch-words these days when it isn't done to be seen glorifying belchy, high-revving performance machines. 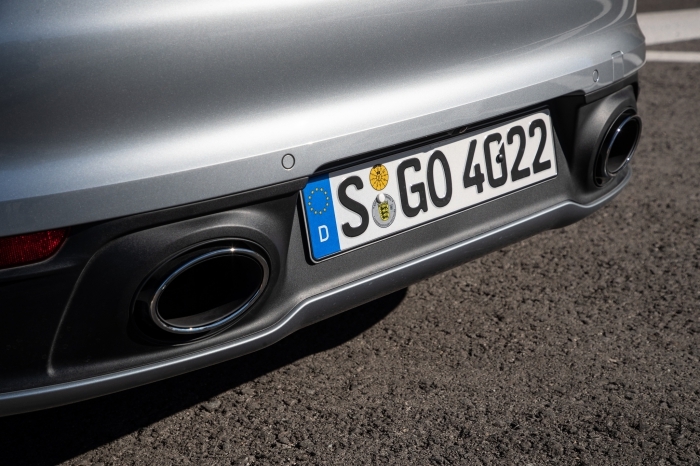 People often use 'Porsche DNA' as a catchphrase without really appreciating what it means. 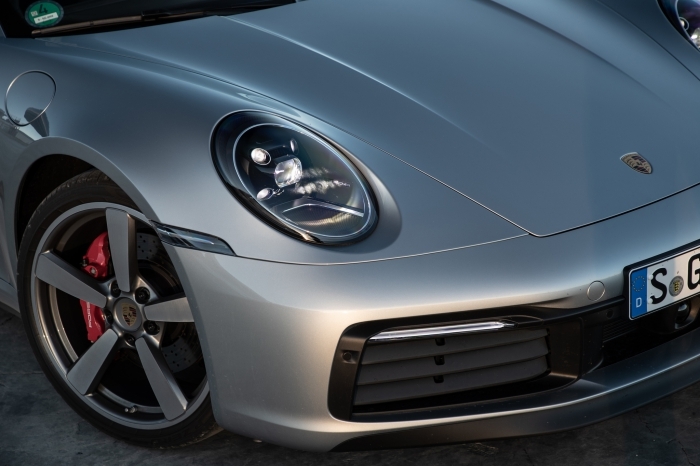 In a nutshell, Porsche builds sportscars first – everything else is secondary and falls in place around that core. 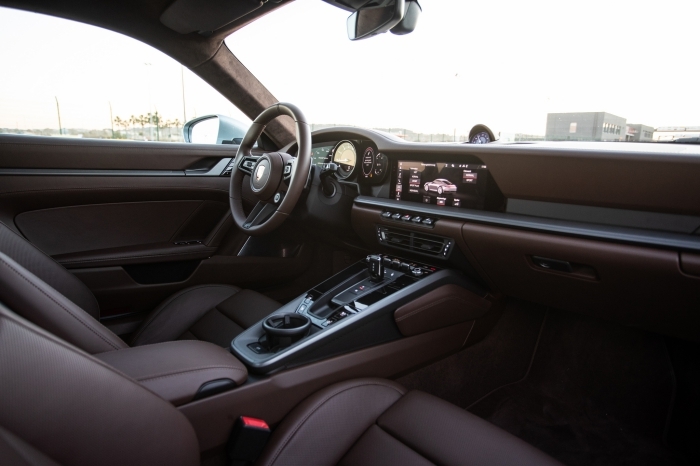 So the form a Porsche ultimately takes doesn't really matter, be it SUV, fastback 'sedan' or wagon, Targa or cabriolet and of course coupe, because it would have been touched with the brand's mojo, and mind you, the point isn't just to be fast either, but to give the driver the 'feels'. 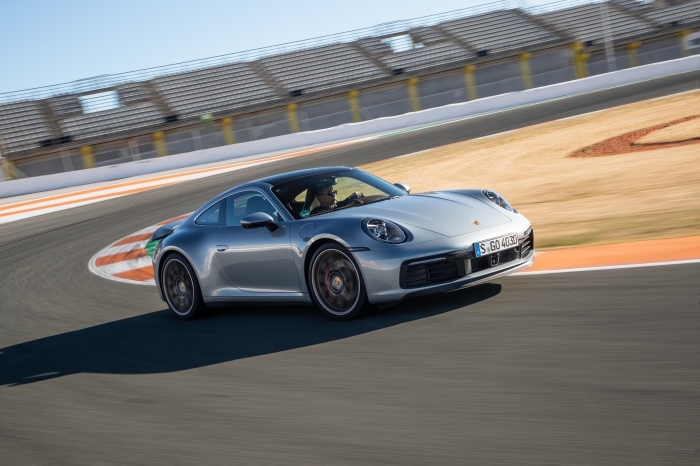 The first is quantifiable empirically, the second, less so; with sportscars going full electronic/digital, purists still want to enjoy the same emotional thrills they've come to associate with the brand when they go 'full beast' mode on the winding roads, and the latest 911 Carrera S (or C2S) is true to its pedigree. 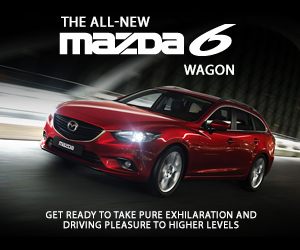 It's not as easy as you'd imagine, because brands that have such thoroughbred models in their stables often have the unenviable task of convincing fans the latest model is worthy of the mantle; look at the latest iterations of the NSX and Supra for instance and how the fans are receiving them – it's all about balancing the hype with reality, and too many enthusiasts continue to be tainted by the tint of nostalgic wonder, but Porsche somehow successfully manages to deliver time after time. 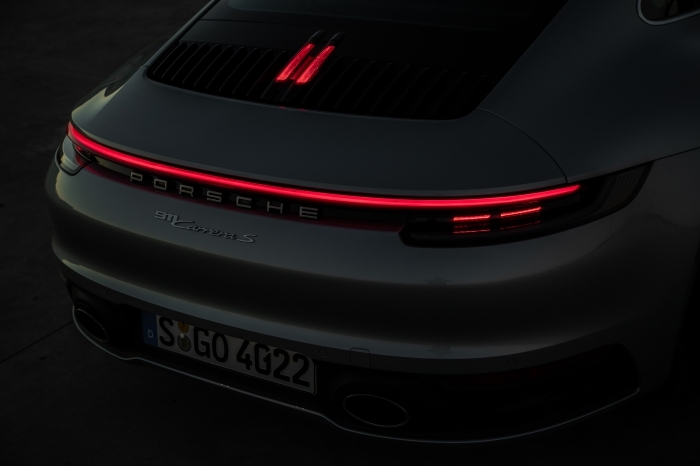 The silhouette of the latest, eight-generation 911 (or type 992 to Porsche-philes) C2S is a familiar one, but even then, there're plenty of enhanced details that require scratching below the surface to uncover. 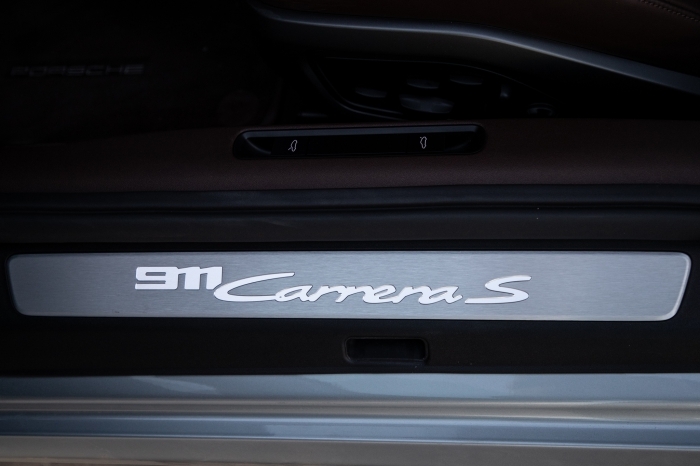 Fans of the lithe, narrow-hipped Carrera bodies will have to get used to the 992's newfound curves, because the C2S gets the wide-body typically 'reserved' for the all-wheel-drive Carrera 4 models – in the time of the 997 for instance, only the GTS got the Carrera 4's wider body, the C2 and C2S had the narrow bodies. Today's 992 is not quite the 'TL' – or Turbo Look – that was so popular as a Sonderwunsch (or Special Wishes, the precursor to today's Porsche Exclusive) option during the G model era, because the equivalent 99x era Turbo/Turbo S models have grown so much wider these days. Compared to yesteryear's air-cooled Carrera models, today's 911 is muscular, brawny and low-slung, and there's no denying its sporting intent, even on a base-plus model like the Carrera S, with a continuous LED strip (that seems to be all the rage these days with car brands) that spans the width of the car to emphasise its powerful proportions. 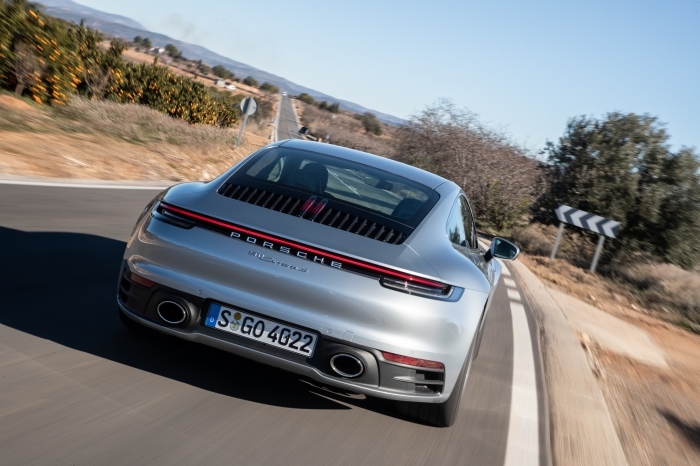 Also, for the first time in the 911's storied lineage, the tyres are staggered for front (20-inch) and rear (21-inch) in both diameter and width – better grip and stability with the larger, wider rubber on the driven rear wheels, more feelsome turn-in with the skinnier fronts. 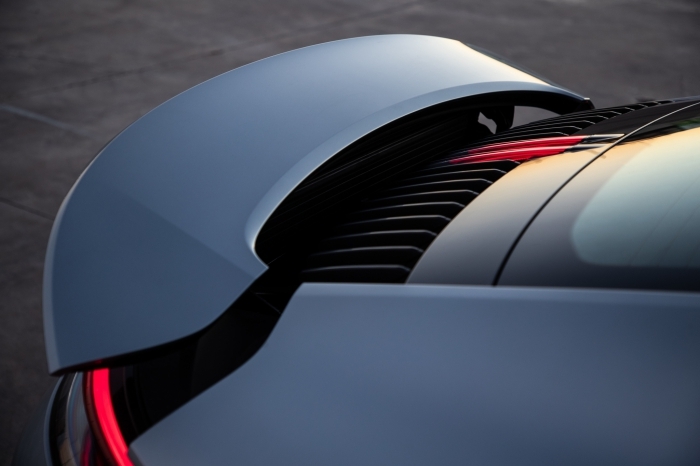 Like the 991.2, the 992 gets vertical air-intake louvres in the rear, with a third brake-light integrated into the vertical louvres, but because the variable rear spoiler can block this when it's actuated, there's another brake-light incorporated into the spoiler. By now, air-cooled fans would also have spotted the bonnet recess in front of the windscreen, a throwback to the cult collectibles the earlier 911s have become. 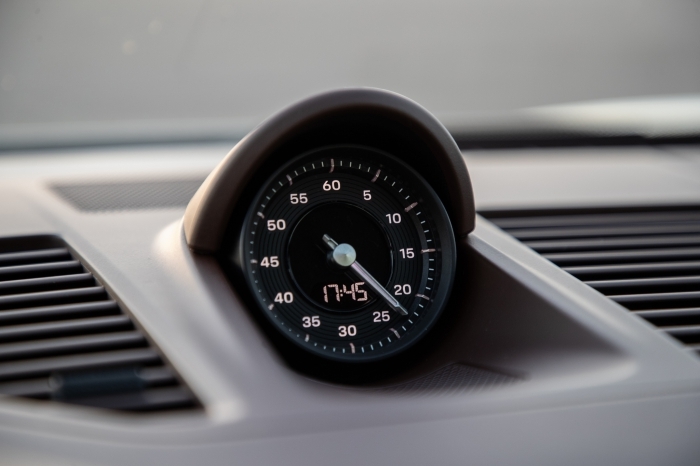 With all the tech innovations, Porsche is more keen than ever to play-up nostalgia to underscore its new driving instrument's prowess, especially since the Porsche purists are the ones who tend to be the most critical of each evolution of the 911. 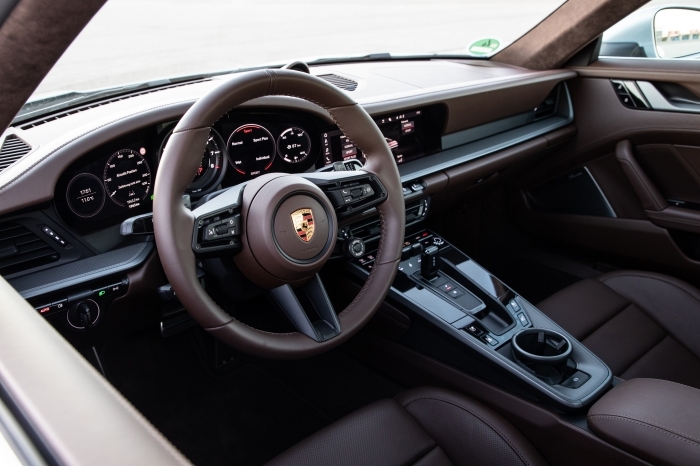 The minimalist interior is properly poshed up, but is also a study of contrasts between nostalgia and the future: the fuss-free dashboard architecture is reminiscent of earlier classic 911s, as is the prominent, centrally-positioned rev counter, although this is is flanked by floating gauges in the 992, instead of the familiar analogue ones found in the older cars. 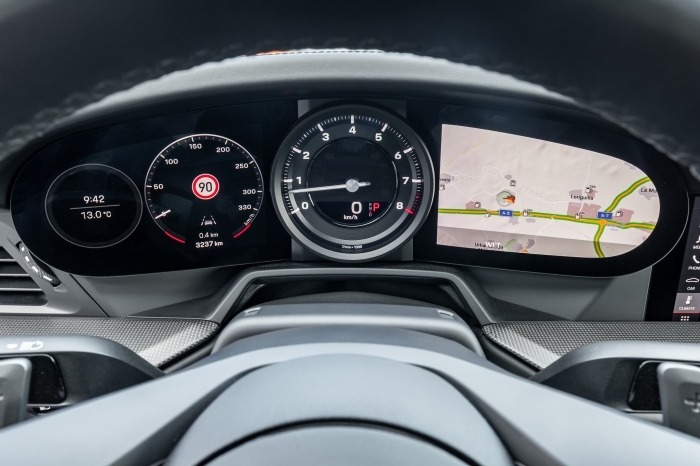 Ultimately, the digital displays and touchscreen demonstrate the car is a product of the here, now and presumably the immediate future, although elements like the bank of five classically-designed toggle switches positioned under the 10.9-inch touchscreen is a nice nod to the past – it's not quite a Singer restomod creation but then again, what is? The environs are familiar, yet alien, as your mind slowly reconciles the juxtaposition of old with new. 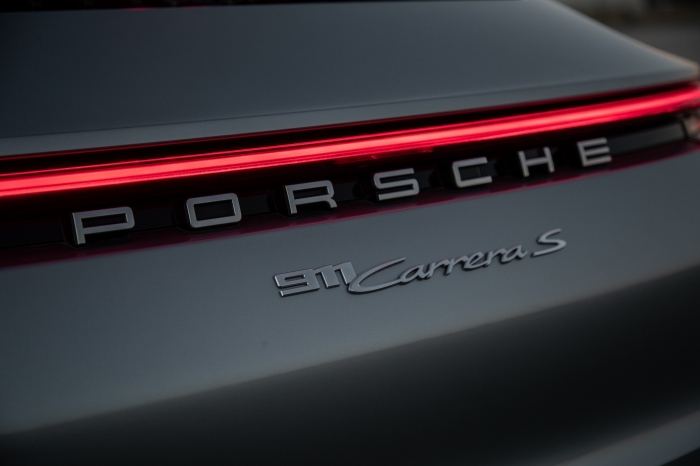 Like the 991.2 C2 S with the optional Porsche Entry & Drive selected, the 992 starts with just a twist of the starter fob, as Porsche embraces full keyless operation (991 GT models still required the driver to insert the physical 'key' to start the car). 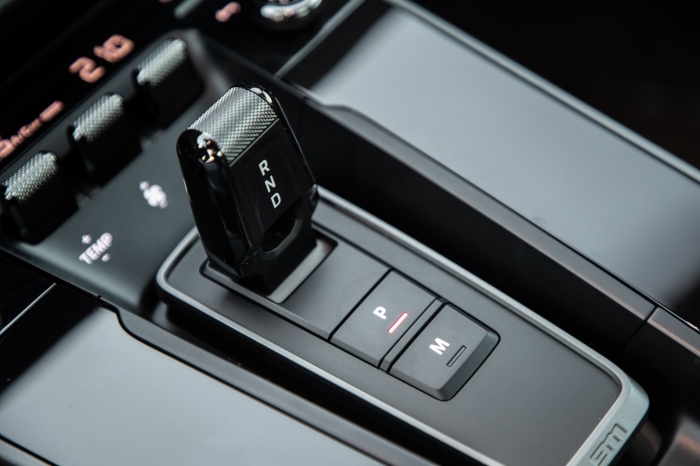 Even the traditional gear-shifter has been replaced by a Braun-like selector appendage (yes, as in Braun the shaver), and can no longer be used to up/down-shift. 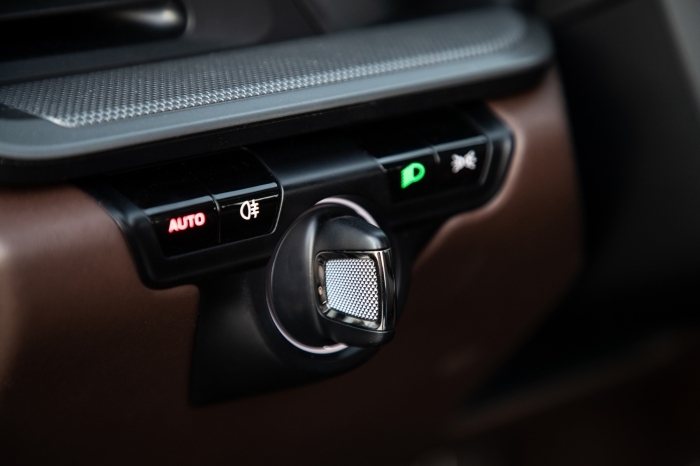 In a way, it's probably for the better that you shift using the steering wheel paddles, because the car's immense pace now requires hands at the helm all the time, well, at least all the time you're hammering it. 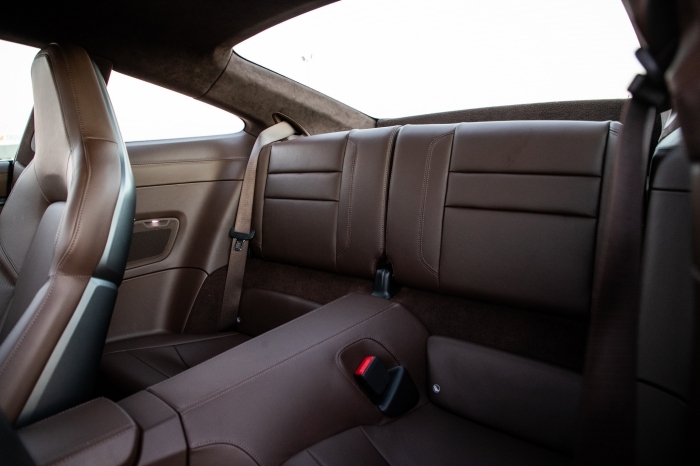 Thankfully, the digital forms don't dilute the essence of the 911, which is in the drive experience. It's mind-boggling how Porsche continues to score big on points like driving feel and dynamics for the 911, generation after generation. 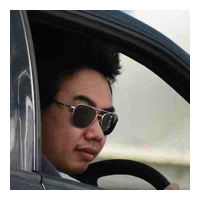 Technology is used to enhance the experience, rather than to numb and alienate driver from the drive. 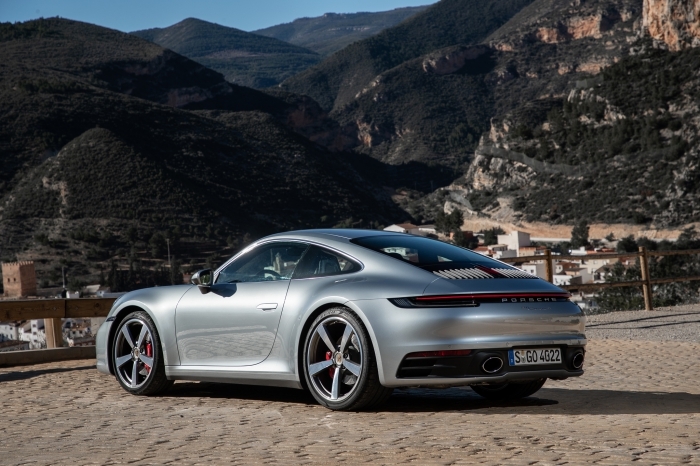 The biturbo 3.0-litre is an evolution of the flat-six engine found in the 991.2, with extensive reworking of the turbo internals and repositioned intercoolers (they're centrally top-mounted now to enjoy more cooler air versus the 991.2's side-bottom-mounted ones). 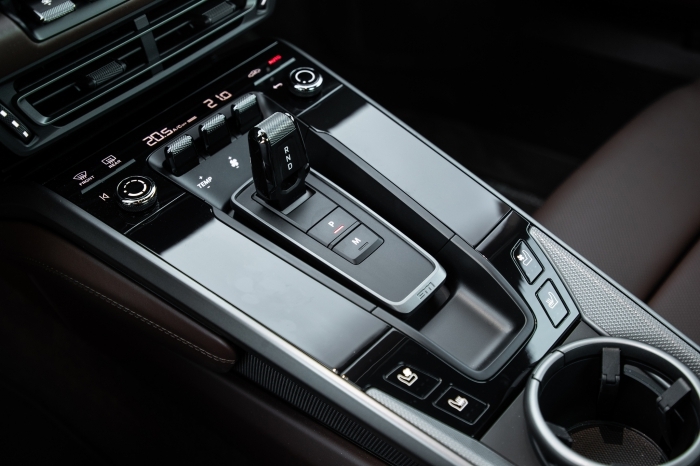 Transmission duty is now served by a sharp and snappy 8spd PDK dual-clutch (that is even, gulp, hybrid-ready! 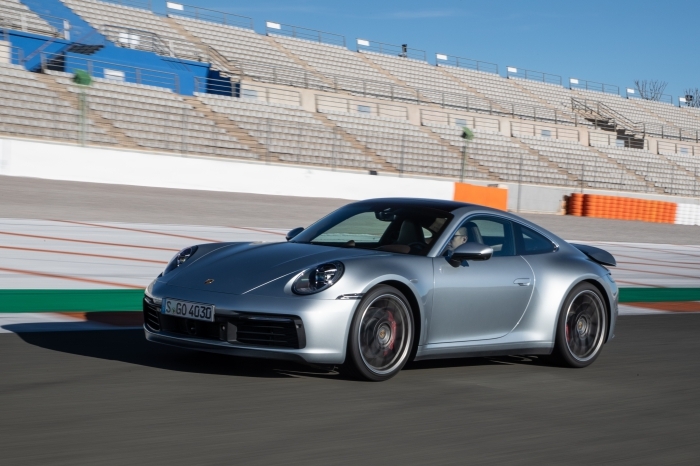 ), which when coupled to the more progressive torque delivery compared to the 991.2, results in a near-nat-asp response from lower rpms to the mid-range with a decent enough peak at high rpms; just don't expect the sort of screaming crescendo you'd get from a GT3 or GT3 RS soundtrack, because those are from a whole'nother level. 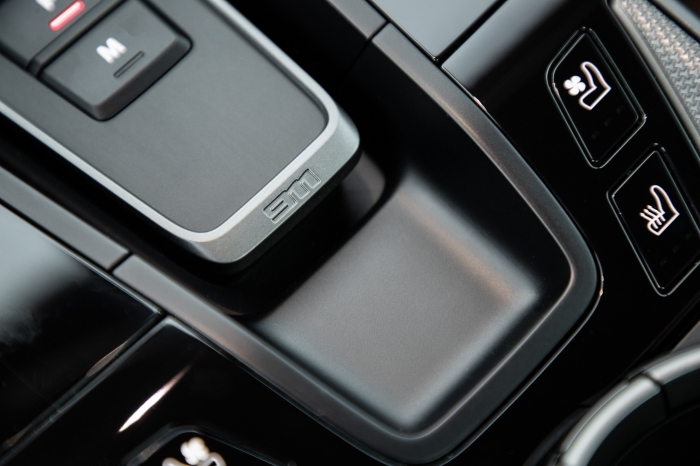 In addition to the familiar drive modes that the driver can toggle between using the steering mounted drive mode selector (this selector comes when you spec the car with the optional Sport Chrono package), there's now even a Wet mode, which helps tame the C2S's 450hp/530Nm – even if we enjoy it, wet roads aren't always big fun for everybody. 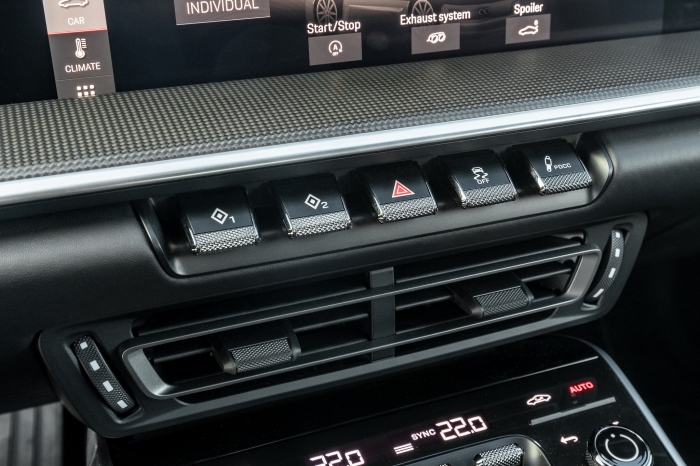 Wet mode can be driver-selected, but the system also picks up audio cues from the wheel-well as it 'listens' to water splashes from the ground and prompts the driver to select 'Wet' if required, so you never have to worry about any wayward behaviour from the car with wayward inputs from your throttle foot. 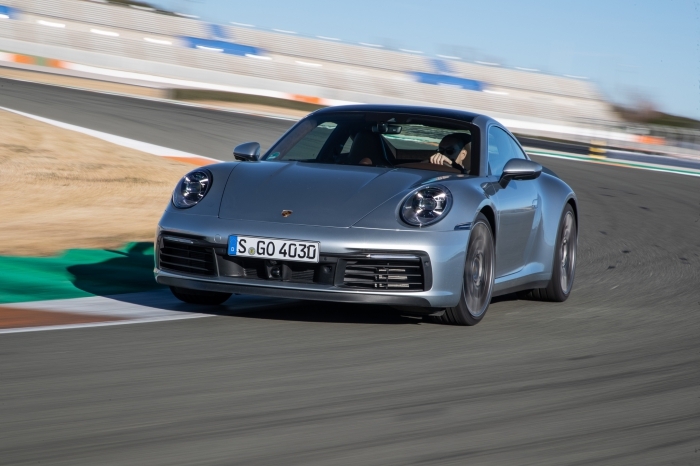 If you're the sort that requires 'Ring validation, it might wow you to learn the 992 C2S just completed the Nordschleife in 7mins 25secs, a full five seconds faster than the previous model. 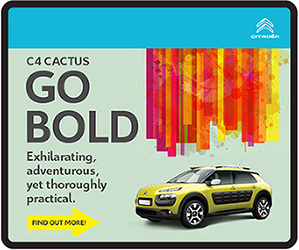 Despite its proportions, the C2S is a lively performer that will give as good as it receives – drive it slowly around town and it'll plod along and feel perfectly at peace with itself doing so. 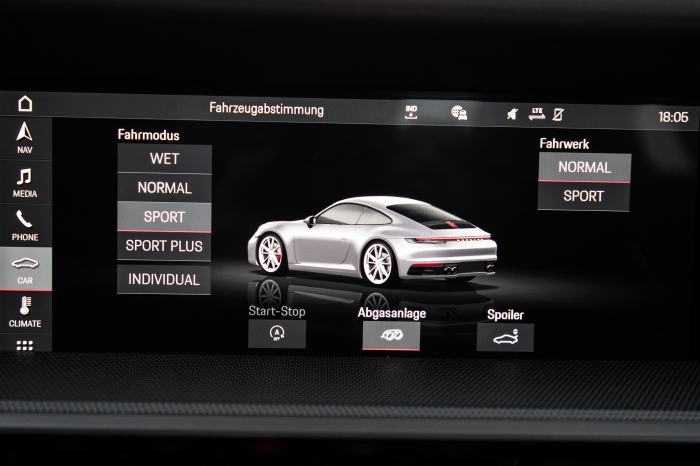 It builds on the clinical competence of the 991.2 C2 S to deliver emotionally engaging driving feels as well. 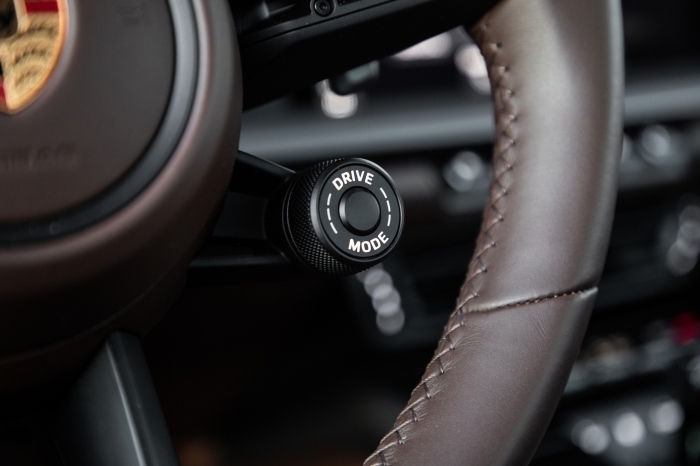 True to Porsche form, the steering and brake controls are wonderfully weighted – not too hard, not too soft, but just right for both daily commutes between home and office, as well as fast winding road breakfast runs up North. Hit the wide open winding roads and you quickly discover the pace is phenomenal for 'just' a C2S, and this sets a lofty starting point for even sportier 992 models to come. 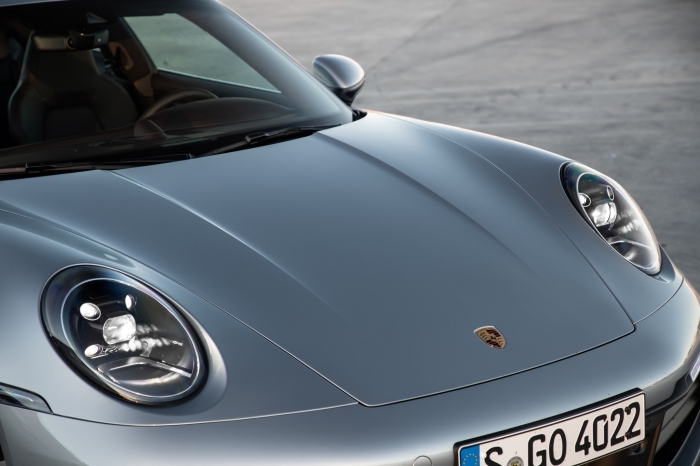 The 991.2 C2S may have reacted as bidded, but it sometimes felt like it was merely going through the motions – with the 992, you feel a lot more of everything through the steering wheel and seat-of-pants: the road, the cornering and braking forces and the amount of grip available are laid bare like an open-book test – there's no guessing involved and hoping for the best. Unlike earlier air-cooled cars, you no longer have to rely on aggressiveweight transfers to turn the car in, because the combination of rear-axle steer and the narrow front tyres all but eliminate the vagaries of dealing with abrupt body-rotation in a rear-engined, rear-drive configuration. 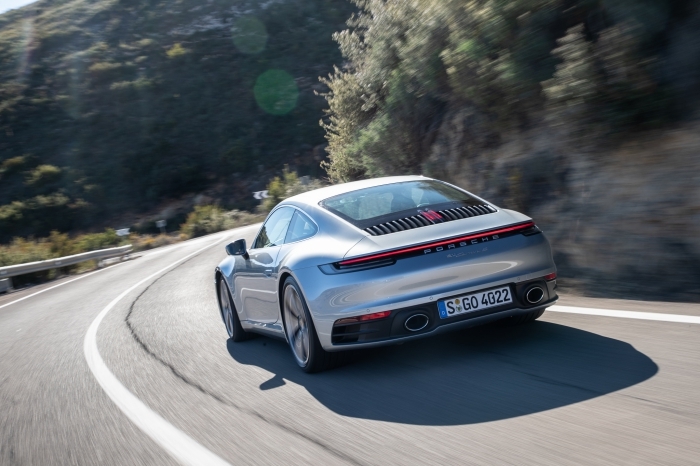 The 992's real-world winding road pace is stupendous, with ample feedback and a crisp, organic turn-in from the more direct steering ratio, and an agility that is aided in part by the active-rear-steer system, so it is far more feelsome than its 991.2 C2S counterpart. It turns in sharply, yet there's so much reserves of grip at the back it's reassuring when you're pressing hard, yet like before, on-demand tail-happy fun is but a fat bootful of gas away. 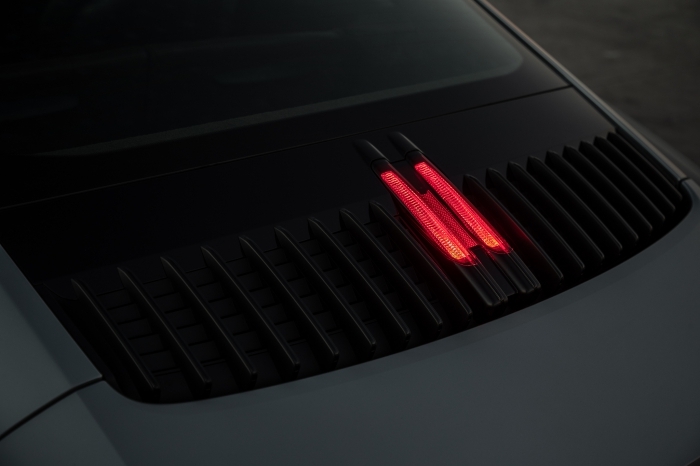 Porsche's fusion of good-ol'driving feels with tech-heavy equipment in its evolution of the 911 demonstrates the rise of the machines doesn't have to mean the death of driving fun.